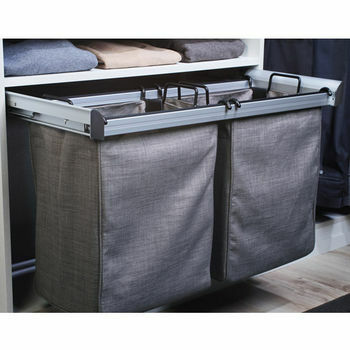 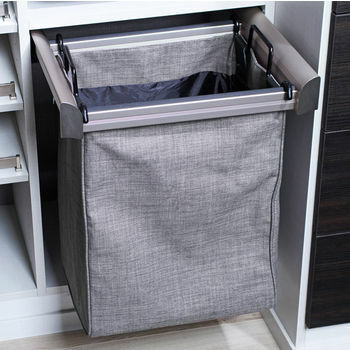 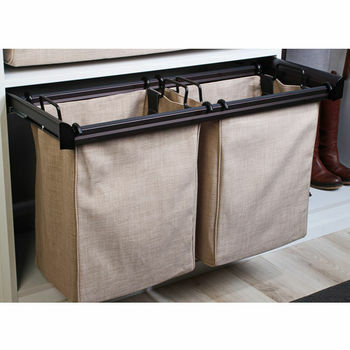 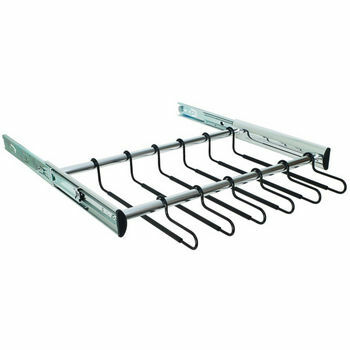 Hafele Engage Laundry/Pant Rack Pull-Out Frame, Matt Nickel, 36"
Hafele Engage Laundry/Pant Rack Pull-Out Frame, Oil Rubbed Bronze, 30"
Hafele Engage Laundry/Pant Rack Pull-Out Frame, Matt Nickel, 30"
Hafele Engage Laundry/Pant Rack Pull-Out Frame, Matt Nickel, 18"
Hafele Engage Laundry/Pant Rack Pull-Out Frame, Oil Rubbed Bronze, 36"
Hafele Engage Laundry/Pant Rack Pull-Out Frame, Matt Nickel, 24"
Expand your closet organization with our practical and popular pants racks. 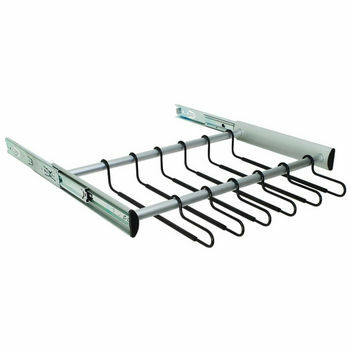 KitchenSource.com provides you with a fine assortment of pants racks that are mounting, swiveling and extending, by trusted brands such as Rev-A-Shelf, Creative Storage and Hafele. 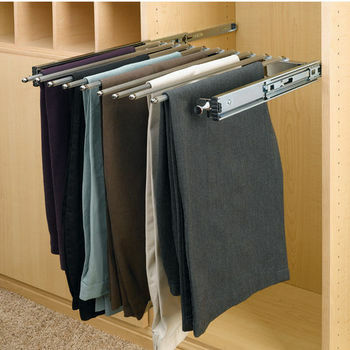 Our pants racks not only offer easy storage for trousers, skirts and other bottoms, they eliminate the need to "feed" pants onto hangers. 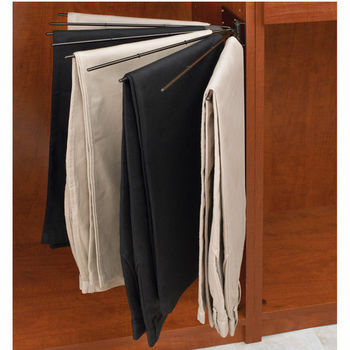 With our line of well-crafted pants racks, trousers stay pressed and ready-to-wear. 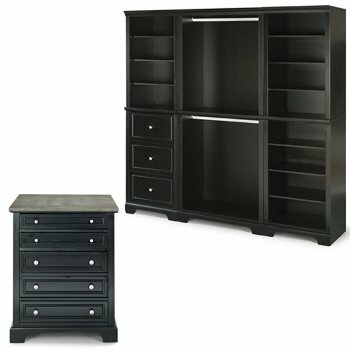 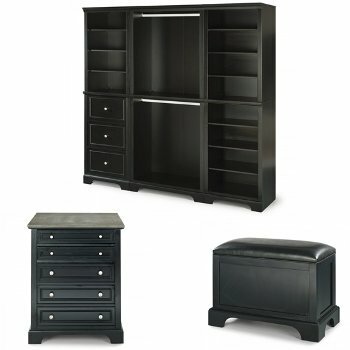 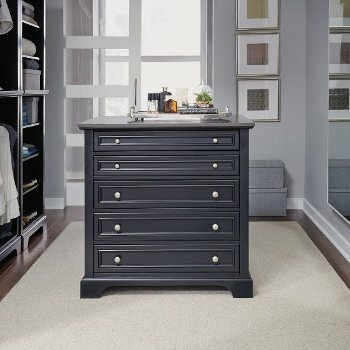 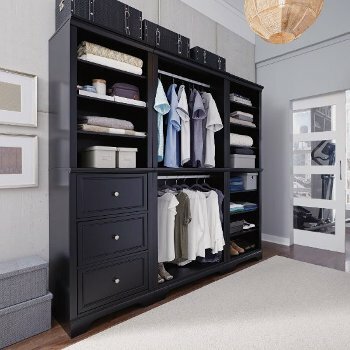 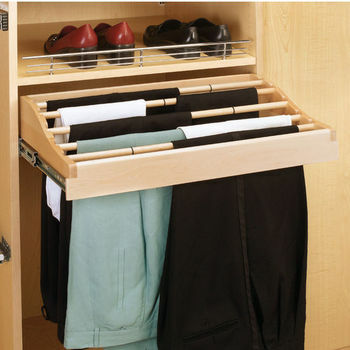 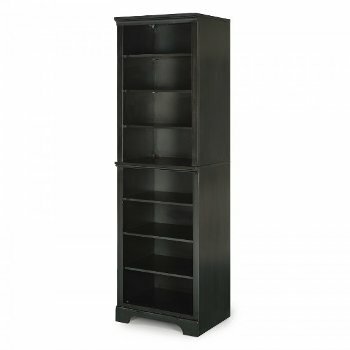 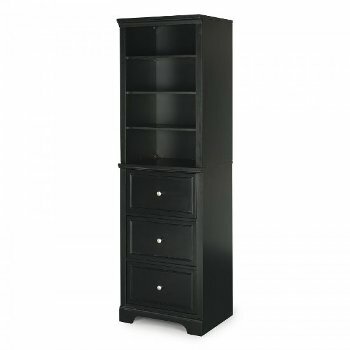 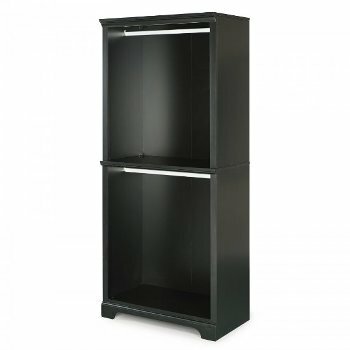 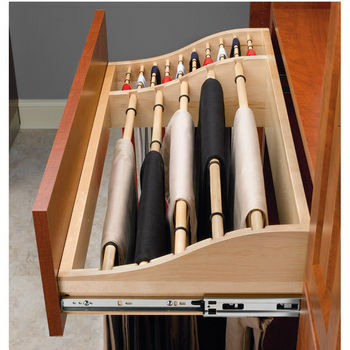 Choose from pull-out pants racks, mountable steel pants racks and swiveling pants racks. 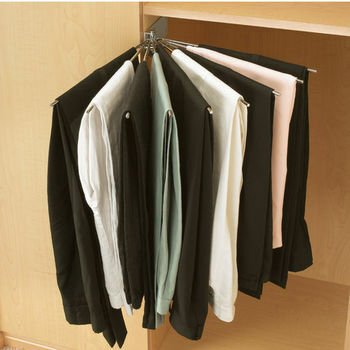 Our durable wooden pants racks have the capacity to hold 12-18 pairs of pants and can double as a tie rack. 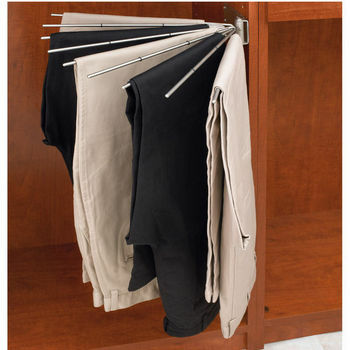 Many in stunning finishes like polished brass, rubbed bronze and polished chrome, our pants racks will offer a chic and functional touch to any closet.